The Lakers enter training camp with a new head coach, largely the same roster as a year ago, and uncertain expectations. While the team they share the STAPLES Center with, the LA Clippers, enter the year a big national story and a potential NBA title contender, the Lakers enter the second year of a massive rebuild. Can Kobe Bryant and Nash stay healthy? Last year was largely a wasted one for both Kobe Bryant and Steve Nash. Bryant never did quite come back from the torn Achilles he suffered in the playoffs the previous year, suffering a knee injury shortly into his comeback. Nash, a former two time MVP who was signed two years ago along with Dwight Howard with the hopes of bringing the Lakers a championship, has never been healthy as a Laker. The word out of the Lakers camp is that both players are in great shape and feel confident about the upcoming season. How long that health will last is the big question. Nash is forty and Kobe is on his way to forty. Both players are first-ballot Hall of Famers and greats at their respective positions. What they have left in the tank will dictate how much the Lakers are able to contend this upcoming season. Can Jeremy Lin re-emerge? The Lakers essentially replaced Jordan Farmar with Jeremy Lin. Lin, who burst onto the scene three years ago with the New York Knicks, earning a big contract with the Houston Rockets, has struggled the last couple of seasons. His inconsistent play had him fall out of favor in Houston, leading to his acquisition by the Lakers. If Lin can re-capture the form that made him the talk of professional basketball the Lakers will have a good compliment to Nash and an upgrade at the point guard position. Last season the Lakers suffered such an incredible glut of injuries at the point guard position that they never really had any semblance of consistency. If Nash can stay healthy and Lin can provide a steadying force the backcourt situation should be more settled. 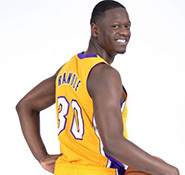 Can Julius Randle have a breakout rookie season? Of all the members of the heralded rookie class, Julius Randle might have found himself in the most advantageous position. The Lakers are badly in need of young talent, especially athletic interior players that can make an immediate impact. While Bryant will remain option number one in Los Angeles, Randle has an immediate opportunity to seize big minutes and a major role on the team right off the bat. The key for the former University of Kentucky star is to get off to a fast start in training camp and take hold of a key role in the frontcourt, whether it be a starting position or the first option off the bench. Randle surprised many in the Las Vegas Summer League with his ability to handle the basketball, displaying a skill set that may earn him minutes at small forward as well as his more natural power forward. 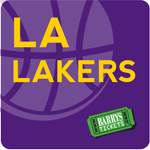 You can purchase Lakers Tickets from Barry’s Tickets online or feel free to call our office at 866 708-8499 and speak with an actual staff member who has been to the Staples Center and help you with any questions you might have. Barry’s Tickets is located just caddy-corner from the Staples Center! 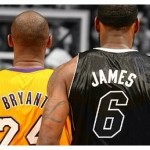 Can the Heats Failure Help The Lakers? 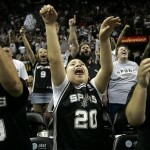 The San Antonio Spurs redeemed themselves by beating LeBron James and the Miami Heat after five games in the NBA Finals. Tony Parker, Tim Duncan, Manu Ginobili and Gregg Popovich can now celebrate their success while the on the other hand, a period of skepticism and uncertainty begins in Miami. Each of the Big Three holds an option to terminate his contract for next season and on top of that, it was clearly exposed that the Big Three are no longer invincible. This crystal clear loss to the Spurs might open to LeBron’s free agency and the Los Angeles Lakers have to take advantage of the opportunity. The Lakers are looking for a way to not just turn things around and do better next season but also for a way to solidify their future for the years to come. Kobe Bryant is 35 and he will have two or three years more ahead before he starts to seriously considering retirement. The Lakers have three players under contract for the upcoming season, Kobe, the 40 – year old Steve Nash and Robert Sacre. This seems to be the ideal time for Mitch Kupchak and the Lakers to make a strong push for LeBron. And as a matter of fact, they do stand good chances to land him. LeBron now knows that his chances to win more rings in Miami are getting thinner. The Big Three did what they could do together, they reached the NBA Finals in each of the seasons since they were formed and they also won two championships. However, in order for LeBron to continue winning while at the same time being a member of a big organization, living in an environment like Miami, LeBron might have to head elsewhere. And the Los Angeles Lakers are a very appealing destination. Of course, the Lakers will have to cook up a very clever plan for their future, one in which LeBron and Kobe can co-exist alongside a capable supporting cast. Mitch Kupchak has not even found the next head coach of the team. And LBJ will have to see a well-designed plan for success before he jumps in. Miami’s loss to the Spurs opened the window for the deformation of the Big Three and it instantly increased the Lakers’ chances to land Lebron James. Of course, there will be several other teams willing to lure LeBron this summer. And ultimately, LeBron will be the one to choose which uniform he wants to wear next season. 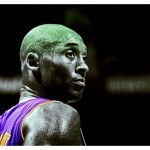 Nevertheless, the Lakers are certainly one of the top destinations for the best basketball player in the world. At the moment, the Los Angeles Lakers are in the middle of a transitional period. They will enter the 2014 – 2015 campaign with a new head coach and most probably with several new faces in the roster. In fact Kobe Bryant, Steve Nash and Robert Sacre are the only three players with guaranteed contracts for the upcoming season. So what should the Lakers do in order to at least make it to the postseason in 2014 – 2015? Let’s break down five things Kobe Bryant and the Lakers should do to make the playoffs next season. The Black Mamba is coming off a series of injuries and although he showed some promising signs during the few games he played last season, he is not getting any younger. In fact, act the age of 36 and following an extended period out of action, Kobe will have to slightly alter his game to help his team win. Kobe will most probably never fully rehab from his injuries and in fact, the Lakers will have to preserve the most valuable piece of their puzzle. Fewer minutes, less drives to the basket and more passes will have to become a habit for Bryant next season. 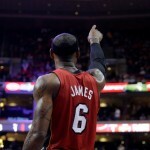 After all, he has proven that he can be a great distributor and that he can alter his game when his team needs him to. We all know that Kobe is a deadly scorer. In fact he is one of the best scorers the league has ever seen. However, with Steve Nash turning 41 midway through the next season, Kobe and with the point guard situation still unsolved, Kobe will have to step up and handle the ball more. He will have to set up the team on offense and help the Lakers run their plays. In fact, the Black Mamba did that with success during the 2012 – 2013 season and when almost any of the Lakers’ point guards faced injury issues. Whether that means trading it on draft night or finding the right prospect, the Lakers have to make the most out of their seventh pick in the upcoming draft. There will certainly be able to add some talent but if a team is willing to offer them a better fit in exchange for their pick, they should go for it. The Lakers are one of the most recognizable sports franchises in the world and they are one of the biggest spenders when it comes to salaries. They were the fourth most expensive team last season and prior to Dwight Howard’s departure they were the most expensive one. However, money doesn’t guarantee more victories. That was made crystal clear last season. What the Lakers should do is try and find affordable role players to surround Kobe and another star they might sign. I am not going to vote pro bringing back Pau Gasol. He will be 34 next season and his performance is declining. Nonetheless, the Lakers might not have many better options at their front line, especially if the Spaniard center takes a pay cut to stay in LA. But even if Gasol decides to get on the move, the Lakers should try and benefit from his departure, by agreeing on a sign and trade with another team. They should get something in return instead of watching their former superstar walking away. The Lakers tip off the Las Vegas summer league play on July 11th Vs the Raptors, July 13th against the New Orleans Pelicans followed by July 14th Vs the Golden State Warriors at the Cox Arena. You can purchase Lakers Tickets for all Summer League Games as well as all games at the LA Staples Center. Knicks or Lakers Who Has A Brighter Future? If the Knicks manage to keep Carmelo Anthony, who will become an unrestricted free agent this summer, then they do have the advantage. That’s because, although the Lakers expect Kobe to return at his 100 percent next season, that doesn’t mean he will be the dominant Black Mamba we all knew. Kobe Bryant will turn 36 next year and it’s still unknown if he will be completely healthy. On top of that, he has lots of miles on his body and he is will be on the fall of his career. On the contrary, Melo, who will be 30 next season, will be right in the middle of his prime. Any GM would pick Melo over Bryant at this stage of their respective careers. Another key issue that gives the upper hand to the Knicks is that they do have some quality players in their roster. Of course, they also have some burden-contracts, like the amazingly big one of Amar’e Stoudemire ($23.4 million). However, at the summer of 2015, all these big fat contracts will have expired. By then Phil Jackson should have already cooked up a nice plan and should have already performed some correcting moves in New York. The Knicks will then be able to chase another superstar to pair with Melo, who will hopefully still be in NYC. On the other hand, the Los Angeles Lakers have already committed $48.5 million to Kobe over the next two seasons and Steve Nash is under contract for the next season, in the books for $9.7 million. In addition, the Lakers don’t have the young players, the financial flexibility or the draft picks to hope that they can make the difference next season or the one after. They will, too have to wait for the summer of 2015 to hope to make something happen, like an addition of a star like Kevin Love. But even that doesn’t seem much probable at the moment. The Lakers are deep in a whole they have dug themselves and nobody knows how they’ll manage to get out. Want to attend a Los Angeles Lakers game? See how much tickets cost to a Lakers game at the Staples Center. With Steve Nash and Steve Blake in the fold things might be looking up, at least a little bit, for the Los Angeles Lakers. Nash and Blake returned to the Lakers lineup on Tuesday night in Minnesota, with Nash making his season debut. The depleted Lakers ended up losing Tuesday night at the hands of the Timberwolves, but then went on to win two in a row on the road before losing at home Sunday versus the Chicago Bulls. Week Recap: Even with the return of Nash and Blake the Lakers continue to be the most snake bit team in the NBA when it comes to losing players. The return of their two point guards coincided with the loss of Nick Young and Jodie Meeks to injury. Wednesday’s night win in Cleveland saw Robert Sacre of the Lakers stay in the game after fouling out, a rarely seen NBA rule, due to the fact the Lakers had just five players left. After already losing Nick Young to injury and Jordan Farmar to leg cramps the Lakers were down to five players after Chris Kaman fouled out. Even with a depleted roster the Lakers hit a season-high 18 three-point shots to defeat the Cavaliers and former Head Coach Mike Brown. Los Angeles continued their winning ways Friday night with a fourteen point defeat of the Philadelphia 76ers behind 19 points from Steve Nash on his 40th birthday. Steve Blake contributed 14 points and 8 assists in the victory. Even without Kobe Bryant and Pau Gasol the return of Nash and Blake is a welcome sight for Lakers fans. 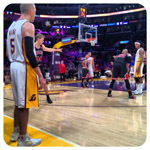 The Lakers returned home Sunday to face a competitive Chicago Bulls team, losing a tough one, 92-86. Chicago ran out to a nineteen point lead and the Lakers rallied back but couldn’t close the gap in the end, losing despite a season-high 27 points from Chris Kaman. Unfortunately for the Lakers they may have lost Steve Nash again for a short period of time. Nash knocked knees with Kirk Hinrich in the third quarter, causing his knee to flare up once again. He’ll be evaluated and may miss a couple of games. The Week Ahead: The Lakers have a big home stretch coming up with five games at STAPLES Center over the next two weeks, including two with key Western Conference contenders. Los Angeles kicks off the week Tuesday night when they host the Utah Jazz. The Jazz are coming off of an impressive home victory over the Miami Heat. Thursday night Kevin Durant and the Oklahoma City Thunder make a visit to STAPLES Center, giving Lakers fans a chance to see the NBA’s leading MVP candidate in action. Following the All Star Break the Lakers return home next week when they face off versus the Houston Rockets in a game that many Lakers fans have had circled on the calendar since last summer. Wednesday will mark the return of former Lakers center Dwight Howard to STAPLES Center. The gifted big man, who had an up and down season in LA last year, has teamed with James Harden to put the Rockets in the fourth playoff position in the west. Lakers Vs Rockets tickets start at just $48 per ticket. The Lakers wrap up the following week by hosting the Boston Celtics on Friday and the New Jersey Nets on Sunday. With five games including four playoff contenders it will be a big ten days of basketball for Lakers fans. Chris Michaels. Barry’s Ticket Service is an Official Partner of the Los Angeles Clippers and offers Clippers Tickets for all home and away games. Should Steve Nash Call It A Career? Steve Nash will have to eventually face reality. The Canadian point guard is currently the oldest player in the league. He is turning 40 in February and his overall production has been going south the last couple of seasons. In fact, he never was able to play as he used to since he joined forces with Kobe Bryant and Dwight Howard in the City of Angels. Due to a series of injuries Nash wasn’t really able to be the dominant player he once was during this Phoenix Suns era. Now, after all the drama the Lakers and Nash have gone through, it might be the right time for him to consider retirement. After appearing in just six games into the season, Nash went down with an injury on November 10, in game where the Lakers played against the Minnesota Timberwolves. Ever since, Nash has been struggling to find his health and return on the courts. Due to a series of setbacks still remains sidelined and he is expected to be out for about one more month. The next time Nash will be re-evaluated and maybe gets the clearance to return to action is somewhere around February. Nonetheless, maybe it’s not wise for him to wait that long. He should consider taking the decision to retire sooner than later. Nash’s production has fallen significantly over the course of the last couple of seasons. The Canadian point guard is a career 49.0 percent shooter from the field and also 42.8 percent from three-point territory. In his 17-year career he averaged 14.3 point per contest, 8.5 assists and 3.0 boards. Last season, he appeared in just 50 games and he put up 12.7 points to go along with 6.7 dimes and also 2.8 boards per game. Except for the change in his production, Mike D’Antoni assigned Nash with a role he wasn’t accustomed to play. He didn’t have many ball-handling responsibilities. He didn’t setup the team. Kobe was the main facilitator of the team, while Nash became spot up shooter. As Steve Nash recently stated, his target currently is to get back healthy and help his team move forward. He wants to be able to contribute. Nonetheless, is this the best decision he has to take? Of course, it would be great for both Nash and the Lakers if he somehow managed to get his game back to the All-Star level he retained a few years back. Nonetheless, this doesn’t seem likely. So the best option for him at the moment seems to be to call it a career, hang his shoes and go on with his off-NBA life. It’s much better for him if all the fans remembered him as one of the best point guards to ever play in the league. Nash certainly ranks amongst the top 10 point guards of all time. But at present, the only thing he does is he damages his fame, the way NBA fans remember of him. All things come to an end. Nash’s career has obviously reached its dawn. It’s time for him to acknowledge it and take action.By:Chris Michaels. 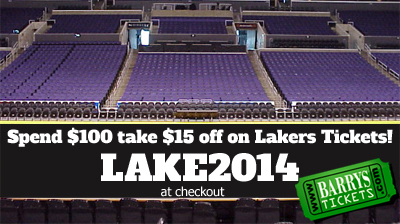 You can save on Lakers Tickets in 2014 by using our Discount Code LAKE2014 at checkout! When Kobe Bryant makes statements, press talks or tweets the world is watching. Are his statements always true and correct? That question is a little tricky. The latest news that Kobe gave us is that according to his point of view the media have actually manufactured the drama over the team. We’ve seen many times Kobe making comments regarding his teammates and his team, trying to motivate them to play harder or even through pain and even making some suggestions. This time though, he tried to underplay the fact that the general picture the Lakers have shown us up to this point of the season is not convincing. Talking about the comments he made on Dwight Howard and about the need for urgency from his team, he said that his comments about Howard were misinterpreted. Additionally he said that he only tried to motivate his teammate and the rest of the story was in fact manufactured by the media. Trying to push your teammates so that the team rolls up and finds its pace is one thing. However, to call the Lakers drama manufactured this season might be a little too much. It’s an awkward moment for the franchise and with if they don’t manage to enter the playoffs with this roster, then the drama would become real and for good. Surely this is the last thing the Lakers have to think about. Now it’s time for focus and hard work, so that the team gets some wins. However, handling the media and solving a problem internally is what great teams do. There’s no need to avoid looking failure in the eye and there’s also no need to put the blame on a single player or coach. Teams win as a whole and teams fail as a whole. That’s the way sports work and that’s how the NBA works, too. The Lakers need Kobe to be the leader. He has to stand up for his team now that it’s a difficult time. It’s great to see him not giving up – that’s certainly not the way he is- and try to force his teammates and especially Howard, Gasol and Nash to show some urgency. That’s how Kobe has used to be during his 17 years in LA. However, finding the appropriate way to fire up the rest of the team is important. Controversies and mutual press statements are not the solution to the problem. Dont miss the next “Battle For LA” When the Clippers and Lakers face off at the Staples Center on Feb 14th!